If he lived to today, Jack Kirby would be 96 years old. Jack Kirby not only broke the mould when it came to drawing comic books, but has influenced dozens, if not hundreds, of artists. His amazing, dynamic style added a new excitement to comics in the 1950s and 60s, never seen before. He was also a workhorse when it came to production, such as writing and drawing three books a month for DC Comics in the 70s. The industry – well, Stan Lee, but it quickly caught on – dubbed him The King of Comics and it’s a fitting title. I didn’t fully appreciate Kirby until later into my comic book collecting, but now, I wish he was a household name. Mainstream media and the general public don’t even know his name. They know Stan Lee, though. Everybody knows good ‘ol Stan because he’s everywhere. He does a slew of interviews and has cameos in nearly every single Marvel movie to date. But it it always breaks my heart that Jack Kirby’s name isn’t a household name with Stan Lee. Along with Steve Ditko (who created Dr. 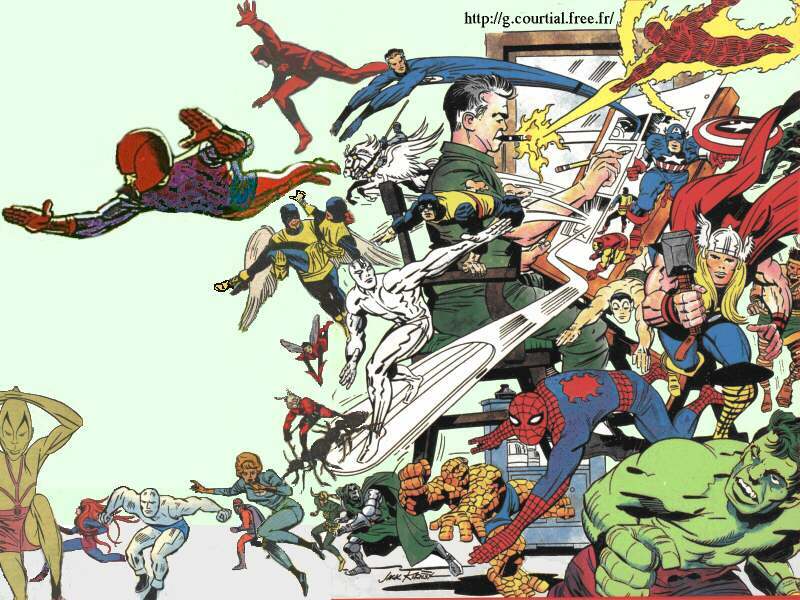 Strange and co-created Spider-Man), Jack Kirby co-designed the Marvel Universe as we know it. With Joe Simon, he co-created Captain America. Then, with Stan Lee, he co-created the Fantastic Four (and all characters within their mythos, including The Inhumans, Namor, Galactus, Silver Surfer, Doctor Doom, etc), The Avengers, The X-Men (before they were later popularized by Chris Claremont), Thor, and a slew of others under each of those titles. 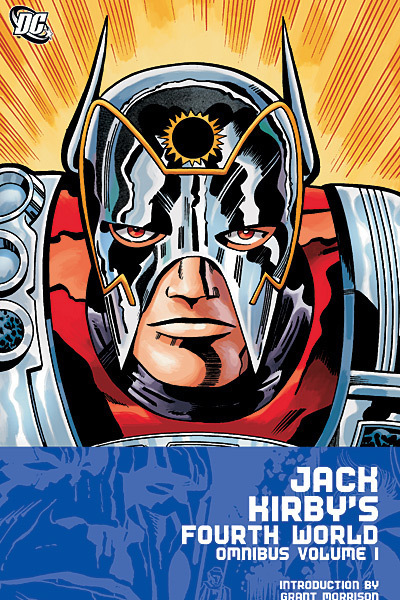 When he jumped ship to DC Comics in the 70s, he continued creating memorable characters, including Etrigan the Demon, Kamandi, OMAC, The Challengers of the Unknown, and of course most famously The Fourth World, which gave us Darkseid, arguably one of the greatest super-villains in comics (certainly in the top 5). DC, it seems, gives Jack Kirby greater credit for his creations there than his work at Marvel. In recent years, they published a long line of omnibus collections including a 4-volume set of his Fourth World books, Kamandi, OMAC, The Demon, The Sandman, and many others. Kirby, more than any other creator in comics, helped birth today’s household names and franchises. And yet he never gets the same credit as Stan Lee, because Lee was a very charismatic spokesperson; the “voice” of the Marvel Universe, if you will. Lee spread himself so thin with so many projects that, in fact, the artists would do most of the work, creating the comic in full and then Lee would add in his own dialogue. Not to belittle Lee’s work in the business because he does deserve it, but it bugs me that he always gets full credit by nearly everyone outside of the business. Today, nearly all of Jack Kirby’s creations – most certainly his creations at Marvel Comics – are household names. The Avengers was the top-grossing movie of 2012, making well over one BILLION dollars at the box office. Billions of dollars have been made on these timeless characters, money that Jack rarely saw because upper management screwed him over big time, assuming that Stan Lee was the creative force, only telling the artists what to do. In the comic book industry, Jack Kirby is well-remembered and well-revered. As I said at the beginning, he didn’t just revolutionize comics back in the day. His art style became synonymous with comic books. Other artists who joined Marvel comics were told to draw “like Jack,” which feels a little unfair to that artist in retrospect, but that’s the kind of influence his style had. Scores of artists learned their trade from Jack’s bombastic, energetic style. Jack Kirby, his style, his influences, and his creations are just some of the reasons why I love comics so much. He made the industry a better place just by being a part of it. I just wish he was still around today to know just how much people appreciate him.